Veneers refer to thin layers of tooth-colored material bonded to the front surface of discolored or damaged teeth to correct the problem. eMax porcelain veneers are one of the most common types of veneers recommended for patients. They offer incredible cosmetic appearance that gives your teeth the natural luster and translucence of a healthy smile. eMax porcelain veneers are fabricated from lithium disilicate glass ceramic that is known for its beauty and superior strength even when cut in very thin slices. The translucency, opalescence, and light diffusion properties of the glass ceramic are masterfully adjusted to replicate the structure of your natural tooth, so the restoration is unnoticeable. Adults with crooked, misshaped, or misaligned teeth, as well as those with chipped teeth, inconsistent gaps between teeth, or stained teeth can consider eMax porcelain veneers to improve their smile. On your first visit, we will evaluate your bite, tooth structure, and facial features to determine whether veneers are appropriate for your case. We will then design custom eMax porcelain veneers for your teeth, giving you the option to “try your new smile” and see how the outcome will be once the veneers are fitted. At this point, you can choose to change the shade, size, or shape of your teeth to transform your smile. If your teeth are not evenly stained, we may use multiple layers of veneers for the severely stained teeth to create a uniform look. When you are happy with your new smile, the design will be sent to our in-house laboratory so your eMax veneers can be casted. In 1-2 weeks, you would return to our office for the veneers to be bonded to your teeth using dental resin cement. 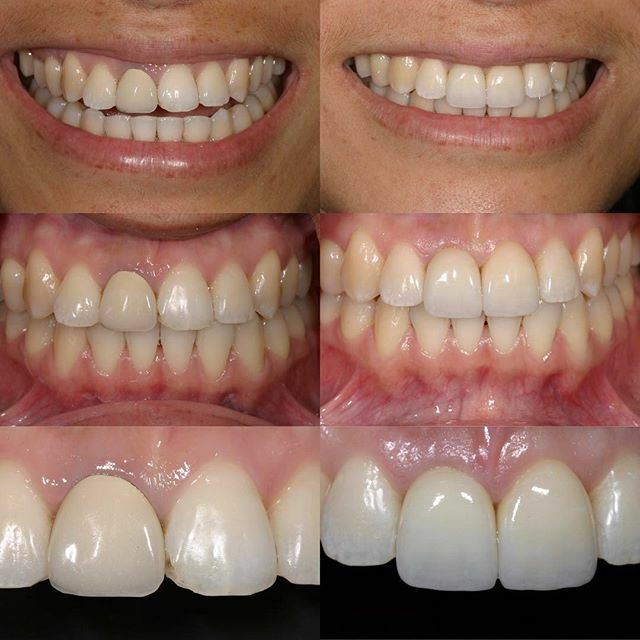 Ability to match the color of eMax veneers to your existing teeth for seamless integration and a natural looking smile – You can choose a precise shade and color of eMax porcelain veneers to improve the color of one or more stained teeth, usually in the upper jaw, giving you the desired smile. Minimal tooth removal – The placement of all types of veneers requires us to shave down some of the tooth enamel to create room for bonding. But since eMax veneers are considerably stronger and tougher than other porcelain veneers, very little enamel is extracted. This means that you experience little to no discomfort during tooth preparation. Preservation of the integrity of your teeth – Based on the previous point, it means that you can preserve more of your tooth structure, and your natural tooth is not weakened. Furthermore, bonding with tough eMax veneers significantly improves the strength of the teeth. Adjust the size of your teeth – You can make subtle to moderate changes to your teeth depending on your unique needs. eMax veneers come in thicknesses of between 0.3mm and 0.5mm, while conventional porcelain veneers have a minimum thickness of 0.5mm. eMax veneers allow for more flexibility. Increased durability – Traditional porcelain veneers are prone to cracks and chips because of their thickness. eMax veneers are harder and thinner, offering superior durability. If you are a suitable candidate for veneers, eMax porcelain veneers will give you the most beautiful and natural appearance, and the longest lasting dental cosmetic repair available. 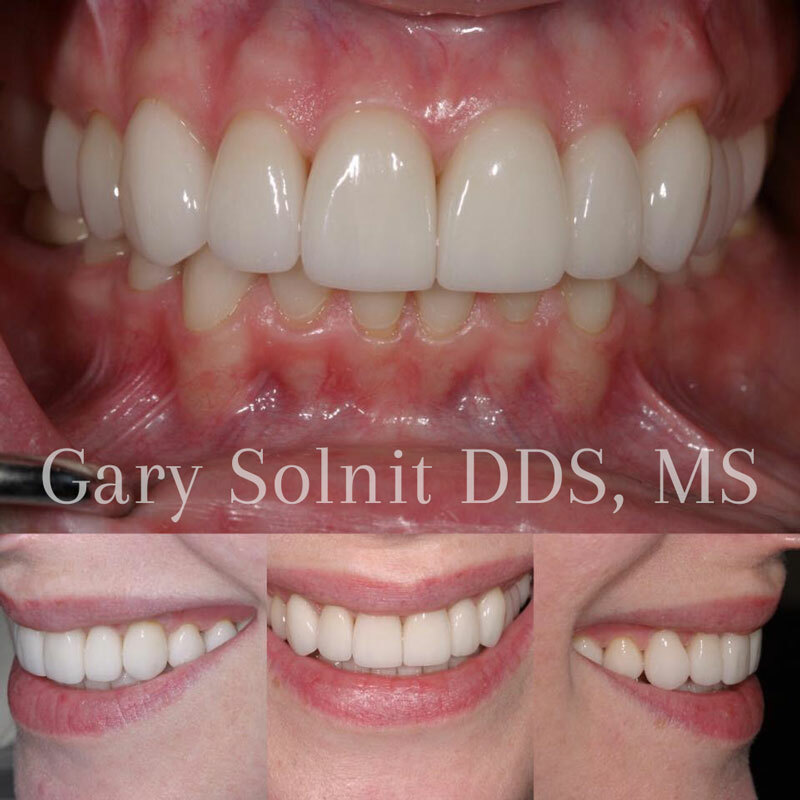 Gary Solnit, DDS MS offers cosmetic porcelain veneers in Beverly Hills & surrounding areas including Century City & Los Angeles, CA.